One of most important but little known concepts of Western occultism is that of the egregore, an autonomous psychic entity created by a collective group mind. An egregore is sustained by belief, ritual, and sacrifice and relies upon the devotion of a group of people, from a small coven to an entire nation, for its existence. An egregore that receives enough sustenance can take on a life of its own, becoming an independent deity with powers its believers can use to further their own spiritual advancement and material desires. Presenting the first book devoted to the study of egregores, Mark Stavish examines the history of egregores from ancient times to present day, with detailed and documented examples, and explores how they are created, sustained, directed, and destroyed. He explains how egregores were well known in the classical period of ancient Greece and Rome, when they were consciously called into being to watch over city states. 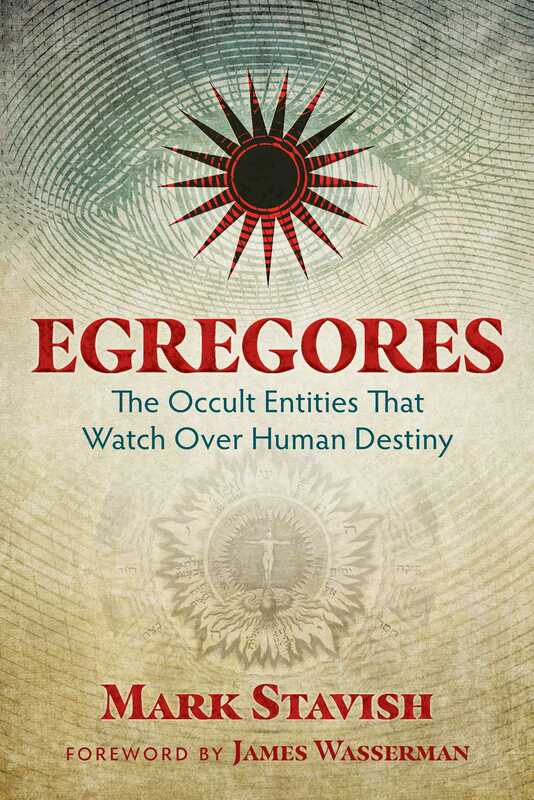 He explores the egregore concept as it was understood in various Western Mystery traditions, including the Corpus Hermeticum, and offers further examples from Tibetan Buddhism, Islam, modern esoteric orders such as the Order of the Golden Dawn and Rosicrucianism, the writings of H. P. Lovecraft and Kenneth Grant, and the followers of Julius Evola and Aleister Crowley. The author discusses how, even as the fundamental principles of the egregore were forgotten, egregores continue to be formed, sometimes by accident. Stavish provides instructions on how to identify egregores, free yourself from a parasitic and destructive collective entity, and destroy an egregore, should the need arise. Revealing how egregores form the foundation of nearly all human interactions, the author shows how egregores have moved into popular culture and media--underscoring the importance of intense selectivity in the information we accept and the ways we perceive the world and our place in it. In August 1930, Howard wrote a letter to Weird Tales magazine that would begin an active correspondence with H. P. Lovecraft. This exchange of letters, opinions, and literary ideas would initiate Howard into “The Lovecraft Circle,” where he was introduced to many authors of similar interests; each member of the group encouraged others to contribute to the various fictional worlds and mythologies they had created. This unique feature of the circle elevated it beyond what is often thought of as “networking” in modern business terms, or a writers' club, but into a magical operation wherein the thought forms it generated took on vigorous lives of their own--as can be seen by the longevity of the works created by its members almost three-quarters of a century after it was started. One of the writers read by Howard and other members of The Lovecraft Circle was Arthur Machen. Machen’s greatest literary achievements were in the gothic horror genre. However, it is his often ignored involvement in a widely reported “paranormal event” that is of interest to shapers of mass consciousness and public perception. In August 1914, the British Expeditionary Force was in retreat. The war--which was supposed to end in a few weeks--was going badly for Allied forces in France and morale was plummeting. Machen recalled reading the newspapers of the day describing the retreat of British forces, and stated that he fell into despair. Machen, who was then working as a journalist writing war reports and various propaganda pieces from the home front, wrote a piece entitled “The Bowman,” first published on September 29, 1914, in the London Evening News. The piece was a work of fiction, but this apparently was not clearly stated, as the story presented soon took on a life of its own. The story reports of ghostly apparitions appearing at a critical moment to protect the retreating British soldiers, with phantasmal arrows slaying advancing Germans by the thousands. Over time, this event went from being divine intervention to wishful thinking, coupled with collective hallucination induced by the stress of battle. Yet the desire for supernatural intervention in our world, particularly that of St. George--the patron saint of the British egregore, if you will--was not enough. Many in the occult community saw it as a magical act, either intentional or unintentional by Machen, using the collective energies of the mass mind. Here, Machen was not simply raising the spirits of his readers during a time of despair; he was in fact raising real spirits, an army of them to do battle with very real corporeal enemies. While there appears to be no truth in this, the effect was nonetheless the same: a collective thought form had been created, it was attached to an egregore (St. George), and strengthened through repetition and religious rites. "The idea of egregores could inspire paranoia in a certain kind of personality, and of course that is unwise. But it is no doubt a good idea to remember that false idols can take the form of thoughts and ideas as well as objects. Stavish's book is a timely, intelligent, and enjoyable reminder of this truth."